Mr. Horne is our associate legal expert handling wills, trusts and other estate planning issues for our clients. Mr. Horne has more than a decade experience in the practice of law. More specifically, Mr. Horne began his career as an estate planning/corporate/tax attorney with a Phoenix-based law firm. Mr. Horne has been the lead counsel on several multi-million dollar mergers/acquisitions and acted as a legal advisor to numerous large corporations. Mr. Horne has also been involved in asset protection strategies (both domestic and offshore), formation and managing foreign captive insurance companies, as well as asset recovery in Arizona. Mr. Horne has been a preferred guest on a local estate planning radio show and has also been a speaker for several estate planning seminars. Mr. Horne spent several years acting as General Counsel and CFO to a large regional mortgage lead company and mortgage broker that employed over 300 individuals. As General Counsel and CFO, Mr. Horne was responsible for all financial transactions and projections, corporate tax returns, human resources, mediation and general legal strategies. Mr. Horne received a Bachelor of Science degree in Accounting from Arizona State University and a J.D. from California Western School of Law. 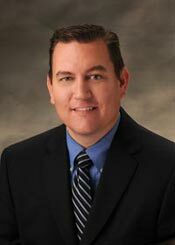 In addition to being a practicing attorney, Mr. Horne is a licensed Certified Public Accountant in the State of Arizona. As a tax attorney, Mr. Horne has prepared or reviewed the preparation and filing of multiple Federal and State tax returns including, but not limited to: Forms 1040 (individual tax returns), 1041 (trust tax returns), 1065 (partnership returns), 1120 (corporate returns), 990 (non-profit tax returns), 706 (estate tax returns) and 709 (gift tax returns). Mr. Horne is actively involved in charitable organizations, especially those dealing with autistic children.